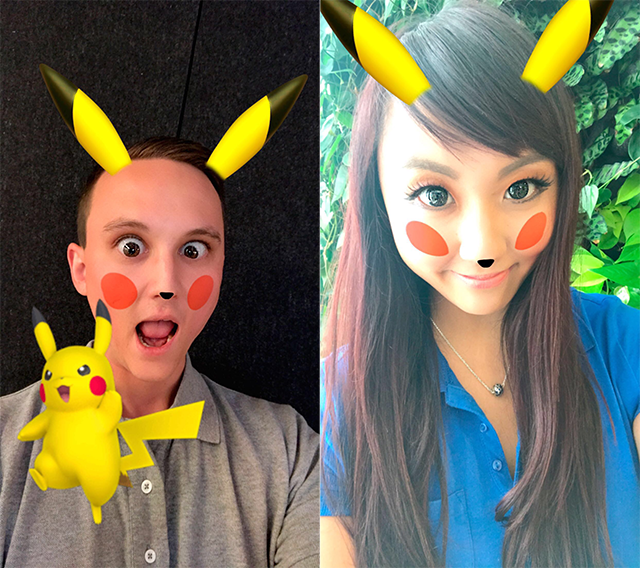 The Pokemon Company launched a Snapchat lens, allowing users to take on the appearance of the popular Pokemon, Pikachu. For a limited time, users can activate the lens to see Pikachu’s ears, nose and red cheeks appear on their own faces. When users open their mouths, Pikachu’s voice will play, and the Pokemon will jump onto the screen and pose. While this lens will only be available for a limited time, no official end date was announced. Snapchat is available to download for free on the iTunes App Store and Google Play.